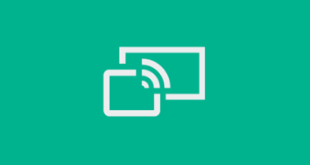 Microsoft released their Wireless Display app for the XBox One to preview users back in April. The XBox One Wireless Display app lets you project the screen of your laptop, tablet, or phone to your TV through your XBox One. There are some requirements for it to work properly. UPDATE 2017: The XBox Preview has been renamed to the XBox Insider Hub, and I believe the Wireless Display App is no longer available. Hopefully they’ll release it to the public soon or integrate it as a built-in feature of the XBox. Both your XBox and your device (laptop, phone, etc) must be on the same wireless network. Also, your device must support the MiraCast protocol (fyi, iOS does not support Miracast). Also, due to content restrictions, some apps like Hulu and Netflix will not allow you to project their content to your TV using this method. Obviously, make sure you download the Wireless Display app from the Store. Then on your XBox One, run the Wireless Display app. If you’re using your Windows 8 device, open up the charms bar>select devices>choose project>then finally select your Xbox One. If you’re using Windows 10, click on the Action Center icon, then click on Expand (if you’re showing less options), then click on Connect. The Action Center will search for available devices and your XBox One should show up. If you’re wanting to play your audio through your TV or stereo speakers, on your computer right-click on the speaker icon and select Playback Devices. Then set your Connected Device as your default and your audio will be redirected through your XBox One as well. I’ve used this a few times to stream videos. If there’s heavy wireless traffic then the quality can degrade and get choppy, otherwise it works pretty well with only a slight delay in the video. How can one get the app (2016) I don’t see it in my preview program. Please invite me: PraiseworthyARR. Thanks!!! did anyone managed to download and install the app recently? i still have the App but it is not functioning shame too i really enjoyed it.